Home / / Painting over vinyl faced wall paper. Painting over vinyl faced wall paper. 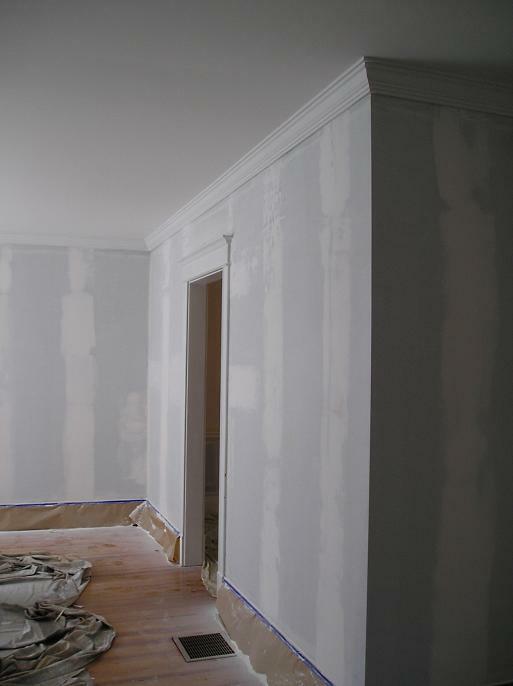 Wallpapered walls primed with Shellac, patched and ready for paint. Drywalling over it with 1/4 inch drywall. Scoring the paper and then using chemicals to dissolve the glue. Leave it in place and simply paint over it. For simplicity I chose to leave it up and paint over it. However, before doing so, I did quite a bit of prep work. Although the prep work was a bit extensive I feel that this was still far more efficient then installing new drywall or removing and prepping the wall under the removed wall paper for new paint. The first thing is to take a small 1.5 to 2 inch wide putty knife and lift up and remove any loose paper on the wall along the seams, ceiling, and trim. Make sure that you keep peeling it until you reach a point where it won’t keep peeling. In some spots I ended up removing a 2 x 2 foot square of material. After you are confident that you got all of the loose paper go back and lightly sand those areas with 120 grit sand paper. The next and most important step is to then dust and prime those areas with a good primer. I used an alkyd primer (Problock) from Sherwin Williams. After the primer was cured (24 hrs) I used all purpose joint compound to smooth out the areas along the seams, ceiling and trim where I had removed the wall paper. This took 2 skim coats due the shrinkage associated with the compound I used. I would recommend 90 min hot mud. I simply used what I already had on hand. After a slight sanding I washed down the walls and then primed the room with the same primer used over the torn areas. This will prevent the paper from lifting up and any bleed through from the wall paper design itself. After these steps you can go ahead and paint your walls and no one will ever know you had wall paper.